With so many great events and activities happening in this fine city this summer, you're probably wondering what to do with yourselves over the school holidays once Christmas is out of the way. Look no further than Arts Centre Melbourne. 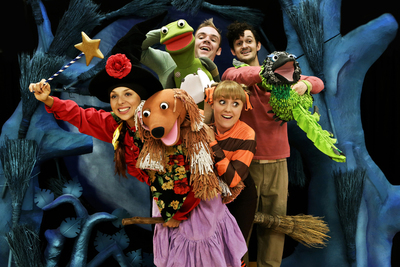 Little ones and their grown-ups are invited to fly into the Playhouse theatre this summer for the magical adaptation of Julia Donaldson and Axel Scheffler’s Room on the Broom. FREE event for mini town planners, master builders and budding architects to build a micro-city with their bare hands! Direct from New York, The Acrobuffos take audiences on an epic comic adventure filled with breathtaking air sculptures and laugh-out-loud physical comedy. In A Deep Dark Forest is an interactive experience for those can wish to get lost in an exciting new adventure game. Les Moutons (The Sheep) who will take up residence on the Arts Centre Melbourne Lawn. 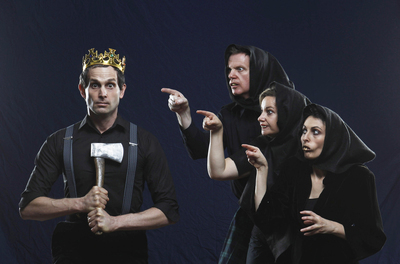 Company 13’s Macdeth is a Shakespearian treat performed in an immediate, filmic style in the Fairfax Studio. The funny, cautionary and fake-bloody tale combines Shakespeare’s rich language with a healthy dose of invention and idiocy. Operation Ouch! Live on Stage on 21 and 22 January, 2017. Operation Ouch! is a popular British TV programme produced for children. The educational show focused on the human body, what happens in A&E and what doctors have to do when problems occur. 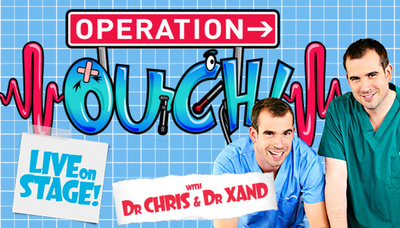 Now the well-known TV siblings are all set to perform Operation Ouch! in front of a live Australian audience, performing at the Playhouse. Deadly 60: Pole to Pole Live is a live event to entertain all ages of wildlife enthusiasts, would-be explorers and global travellers presented by Steve Backshall, intrepid explorer and presenter of the kid's TV show Deadly 60. 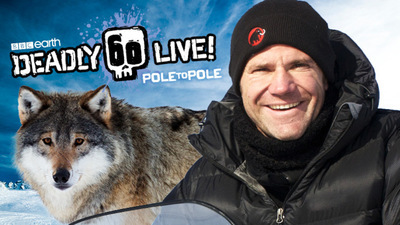 See also: Steve Backshall returns to Melbourne Deadly 60 Pole to Pole Live! See also: David Walliams Mr Stink Live coming to Arts Centre Melbourne this Autumn. Would you wear vintage fur?